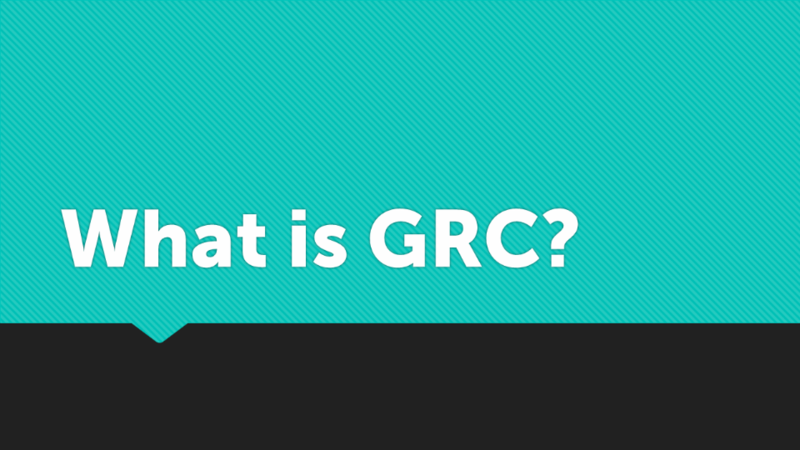 GRC is a three-letter acronym that stands for “governance” + “risk” + “compliance.” While the acronym is simple, the real story of what is meant by GRC includes so much more. 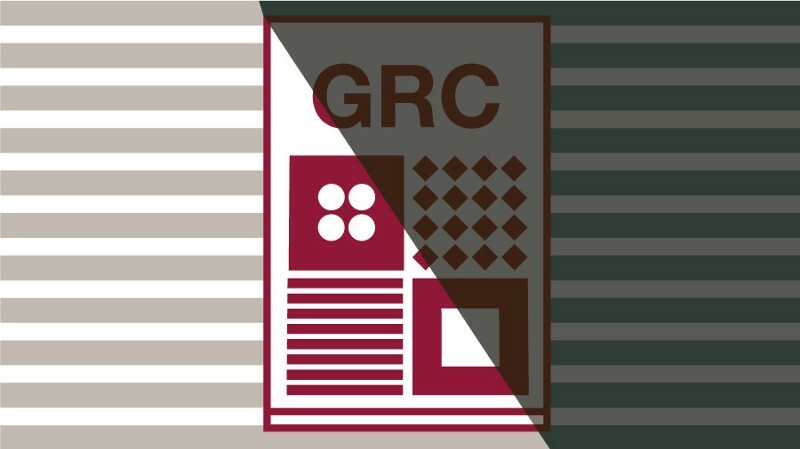 The first scholarly research was published in 2007—but the original ideas behind GRC were created (invented!) back in 2003 by OCEG. A panel of experts formally defined GRC as a shorthand reference to the critical capabilities used to reliably achieve an organization’s objectives while addressing uncertainty and acting with integrity. GRC goes beyond the critical roles of governance, risk and compliance. GRC includes other key areas such as internal audit, compliance, risk, legal, finance, IT, HR as well as the lines of business, executive suite and the board itself. Though the acronym IACRLFITHR may have been more inclusive of all of these areas, 3-letter acronyms are more memorable—and these three letters embodied the areas that required the most work to integrate. Thus, the panel of experts coined GRC. In other words, GRC refers to the people, processes, technology and information that help an organization achieve Principled Performance. GRC refers to the capabilities that help an organization reliably achieve objectives, address uncertainty and act with integrity. In this sense, GRC is the pathway to Principled Performance. Principled Performance is achieved when an organization reliably achieves objectives, addresses uncertainty and acts with integrity. To be clear, GRC is not a technology. GRC is not a department. GRC is not, at least for our purposes here, a Global Rallycross event sponsored by Red Bull. GRC refers to the people, processes, technology and information that help an organization achieve Principled Performance—that help an organization reliably achieve objectives, address uncertainty and act with integrity. GRC is the pathway to Principled Performance. It’s important to remember that organizations have been governed, and risk and compliance have been managed, for a long time—in this way, GRC is nothing new. However, many have not approached these activities in a mature way. Too often, these efforts do not support each other to enhance the reliability of achieving organizational objectives. In a forward-thinking organization, GRC is viewed as a well-coordinated and integrated collection of all of the capabilities necessary to support Principled Performance at every level. GRC doesn’t burden the business, it supports and improves it. In this way, GRC is totally revolutionary. GRC looks beyond obstacles and sees the opportunities. But let’s take a step back. Why are companies embracing the GRC mindset and approach? corporate social responsibility programs; and so on. When things are siloed, it is more likely that wrong or counter-productive objectives are established, sub-optimal strategies are selected, and performance is not optimized. GRC Done Wrong is Natural! It really drives me crazy when consultants come into a business declaring how dim-witted and foolish executives must be (or must have been) to build nonsensical organizational structures. Very few people self-select to be part of a profession that specializes in internal audit, compliance management or corporate governance. Most everyone gets into business or starts a business to do anything BUT governance, risk management and compliance. Most people start businesses to “make great shoes” or to “make great software” or to “serve customers amazing food” or to “heal patients” and so on. As the business grows, they need to address performance, risk and compliance issues accordingly. Maybe increased labor or information security risks and requirements. Maybe increased financial risk and requirements. As issue arise, departments (silos!) get created. It is only with hindsight that the damage caused by multiple silos is clear. Research shows that very, VERY few organizations have the kind of foresight to avoid siloing these GRC areas. Thus, GRC activities must be integrated and orchestrated once discovered and wherever they are found. Integrating GRC capabilities does not mean creating a mega-department of GRC and doing away with programmatic approaches to risk and compliance management. Nor does GRC call for using only one technology system or GRC platform (though there are some GRC platforms built to address the broad range of GRC capabilities). Rather, it is about using an approach that ensures the right objectives are established; and that the right actions and controls are put in place to address uncertainty and act with integrity. It is about establishing an approach that ensures the right people get the right information at the right times. This means that historically fragmented and siloed departments need to get on the same page and understand how they relate with one another. It also means that these departments orchestrate the way that they interact with the business so that information requests and audits leave less of a “footprint” on the lines of business and key value drivers. FYI, you may use the GRC Capability model for free. It makes it easier to implement GRC in your organization.